"This is the most arduous time for my family. The court’s verdict against my father is a sentence against the people of Gambella, who have been denied basic human rights for decades. They have lived through a massacre and the theft of their land, rivers, and forests. The continued imprisonment of my father and many other opposition leaders who are languishing in Ethiopian jails, should inform the international community that there is no rule of law in Ethiopia. There is no justice." Oakland, CA—On Wednesday April 27th, an Ethiopian court sentenced indigenous leader and land rights activist Okello Akway Ochalla to nine years in prison. Mr. Okello is a Norwegian citizen who was kidnapped in South Sudan and unlawfully renditioned to Ethiopia in March 2014. His crime: speaking to international media including the BBC and the Voice of America about the 2003 massacre and the ongoing plight of the people of Gambella. In 2003, Mr. Okello was Governor of the Gambella region of Ethiopia when a massacre of indigenous Anuak people took place at the hands of the Ethiopian Security Forces. 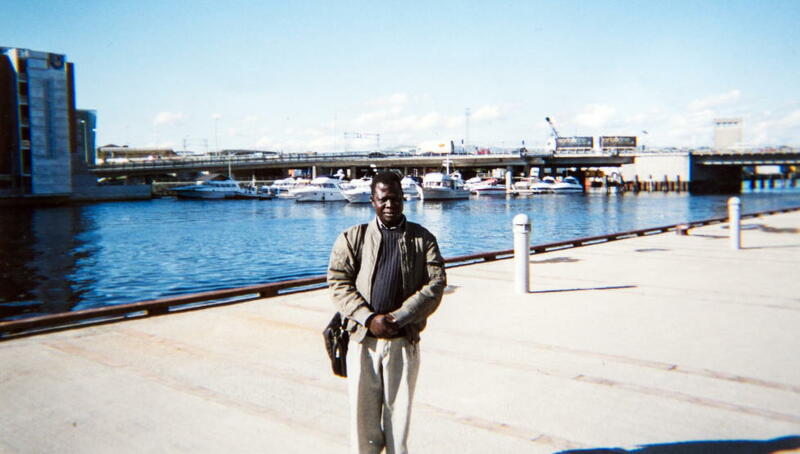 An Anuak himself, Mr. Okello fled Ethiopia and eventually sought asylum in Norway. In the ensuing years, he continued to advocate for justice and the rights of the Anuaks. Because of this activism, he was branded a terrorist and arrested in 2014. Earlier this month, after a lengthy trial in which the primary evidence against Mr. Okello was a self-confession signed under torture, his charges were lessened from terrorism to criminal charges. Despite this small glimmer of hope, we are appalled by the court’s sentence. To say that this sentence is an injustice is an understatement. From the moment Mr. Okello was unlawfully renditioned and forcibly taken to Ethiopia in 2014, the courts and criminal system have worked to break him. He has been subjected to torture and solitary confinement, and his lawyers report that, unsurprisingly, this has affected his mental health. His family—based in the US and Norway—has likewise been devastated by this news, as they go on without a father, brother, and husband in their lives. Yesterday’s verdict demonstrates the ongoing repression by the Ethiopian regime against marginalized communities across the country. This repression has threatened the stability of the whole country, as Anuaks, Oromos, Ogadens, Ethiopian Muslims, and others face ongoing persecution at the hands of the government. The verdict is a major setback for peace and stability in the Gambella region, and for justice in Ethiopia as a whole. In the two years since Mr. Okello was arrested, the United States has approved new World Bank funding to Ethiopia, signed a new security agreement with the country, and maintained its status as Ethiopia’s single largest bilateral donor. Given these roles, the United States has a responsibility to its taxpayers to ensure that basic human rights and rule of law are upheld in Ethiopia. We call on the United States government to take a stand and demand that the Ethiopian government grant amnesty to land rights activist Okello Akway Ochalla as it has done recently with other political prisoners. For more information on Mr. Okello’s case, including his closing statement, a Congressional letter on his case sent to President Barak Obama, and a petition for his released signed by over 6,000 people. Read Financial Times coverage of Mr. Okello’s sentence (registration required).